Operational mode provides access to the commands related to show, clear,enabling or disabling debugging, as well as commands for configuring terminal settings, loading and saving configuration, and restarting the system. Configuration mode provides access to the commands for creating, modifying, deleting, committing and showing configuration information, as well as commands for navigating through the configuration hierarchy. When you log on to the system, the system takes you to the operational mode. In order to enter the configuration mode from operational mode, type the configure command. To apply each new change(s), issue the commit command in the configuration mode. The running configuration can be saved using the save command in configuration mode. Use the following commands to create a new user with admin privileges. Note: Where arbab is a user that we have created with the password of PASSWORD. A basic recommendation from Vyatta is to delete the default vyatta user and replaces it with a new one (arbab/PASSWORD – or use your username/password that you have created in the above step). 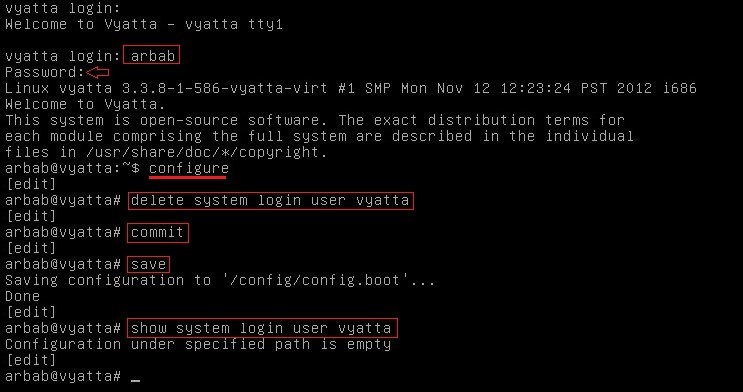 By default root user is not enabled in vyatta, in order to use it, you have to enable in it first. Use the following commands to enable the root user. The default host name for a Vyatta device is vyatta. 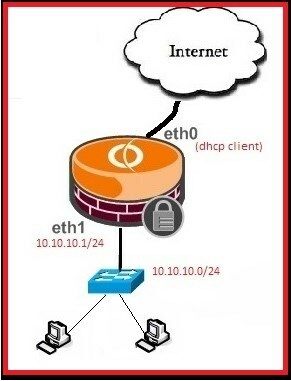 Use the following commands to change the hostname. Don’t forget to commit all configuration changes. Note: The command prompt reflects the hostname change by next time you log in. Set the domain name using the following command. To view the interface(s) configuration in the operational mode. To execute the operational mode show command(s) inside the configuration mode, just add run in front of it. Before allowing the SSH access, we must enable the SSH service on the vyatta system. We can also change the SSH port (default is 22) for security reason, which is recommended. 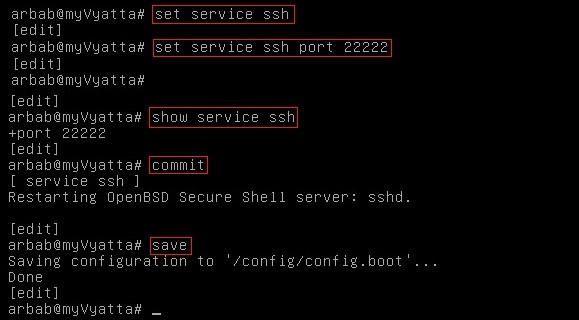 Enter your connection settings inside PuTTY, enter your custom ssh port if you have changed it in the above step (else leave it to default). Next, enter your username and password. You are now logged into your vyatta with SSH.